At A Frog’s Dream Aquatic Service in Morris County, NJ we do things a little differently. You choose the pond maintenance services you want to add to your pond/water feature maintenance membership for the year and create the perfect membership for your water feature in Morris, Hunterdon or Somerset County, NJ. To become a pond maintenance member you must choose a spring service, a maintenance visit service and a fall service. We will drain the pond (temporarily housing the fish if you have them). The next step is to give the water feature a quick pressure washing and rinse (we do not want to remove every bit of the beneficial Bio-Film). Once washed down we will trim back aquatic plants, check underwater light fixtures, re-adjust rocks and gravel, clean filters, perform pump maintenance cleaning, and finally install the waterfall pump. When all of this is finished, we will add dechlorinator to the water, begin refilling water feature (and re-introduce fish if you have them). We will also add an initial dose of water treatments to your water feature to aid in getting the pond ready for the season. There is one main difference between the Gold and Platinum Spring Services. We don’t drain and clean the pond. We will skim some debris out of the pond bottom. Our Gold Spring Service is applicable to ponds, pondless waterfalls, and fountains. Why Become a Maintenance Member? 1. All your services are scheduled for the year, it’s done! 6. As long as you are a maintenance member and you choose to include Water Treatments, the dosing system will be maintained and replaced if needed with no additional charges. 7. First on our list for opening in the spring! ﻿Step 2: Choose your maintenance visit frequency. Weekly Visits– We will visit your pond and perform maintenance once a week. Your pond will be completely maintenance free, all you need to do is feed your fish for fun and enjoy your pond. In addition, you will also receive 20% off pump replacements and 15% off any additional work requested throughout the year. 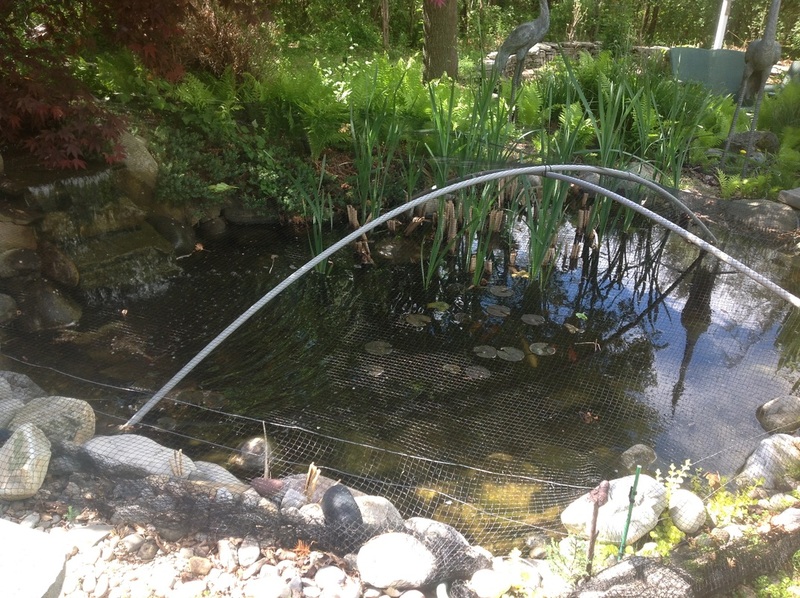 Twice a Month Visits-We will visit your pond and perform maintenance Twice a Month. You will need to check your skimmer on the weeks we wont’ be there servicing your pond. That’s it,we will do the rest. You will then get to enjoy your pond and feed the fish, all the fun things associated with being a pond or water feature owner. In addition, you will also receive 15% off pump replacements and 10% off any additional work requested throughout the year. Monthly Visits– We will visit your pond once a month. During the weeks we are not there you will need to check your skimmer net and rinse the skimmer pad off. That’s it. You then get to enjoy your pond and let us take care of the rest. In addition, you will also receive 10% off pump replacements and 5% off any additional work requested throughout the year. One Mid-Summer Pond/Pondless Check– We will be visiting your pond once in July. This is a “piece of mind” check. We will perform all the maintenance visit services for you on this visit and make sure all is running smoothly. You will be responsible for cleaning your filters, checking your skimmers and performing weekly maintenance to your pond. You will also need to refill the Automated Water Treatment Dosing system on a monthly basis (Water Treatments Included). In addition, you will also receive 5% off pump replacements and 5% off any additional work requested throughout the year. Services performed at each visit: Check pump flow, check for leaks-fix minor repairs, empty and clean skimmer basket and pad, backwash filter if applicable, check UV function if applicable, check lighting, light timers checked and adjusted, periodic water quality testing, visually inspect fish, clean biofall filter mats (2 times per year), refill dosing system, Trim/Fertilize aquatic plants, Service Report with Pictures emailed to you. For the Fall Pond Netting and Winterization Service A Frog’s Dream Aquatic Services will visit your pond twice. Once to net the pond in October and prepare your pond for the winter shutdown, and a second visit to shut the pond down for this winter. We will prepare your pond, pondless or fountain for the winter months. The last step is to decide if you would like to include water treatments or not include water treatments for the year. 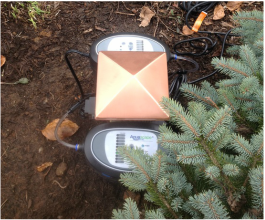 ​You will receive our dosing system (pictured left) when you include water treatments for the year. You can only opt out of treatments if you have a pondless, fountain, or choose the Mid-Summer Check as your maintenance service. How much is a pond maintenance membership? The pricing of our maintenance memberships vary depending on the services you select and the size of your pond or if you have a pondless waterfall or fountain. Each price includes our basic Maintenance Membership services for each size/type of water feature. The memberships quoted include our Gold Spring Service, Mid Summer Check Visit, Pond Netting and Winterization, and Includes Water Treatments for the year.